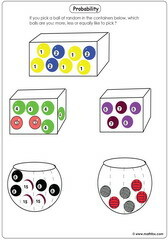 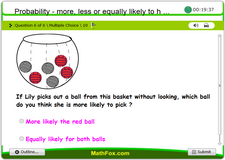 Probability activities for children, introduction to probability, spin the wheel and guess the odds, picking balls at random and tell the odds, fire targets and tell odds, least or more likelihoods, probability applied to daily life. 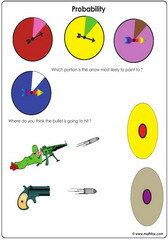 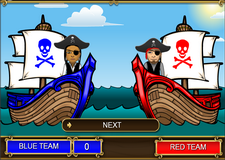 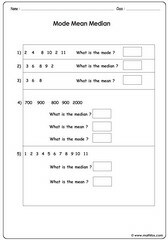 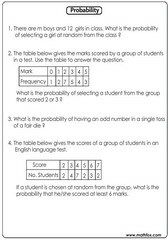 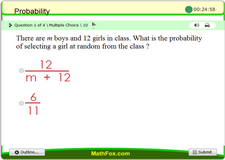 Probability activities for children - math worksheets, games, quizzes, tests, PowerPoint games, board games, card games . 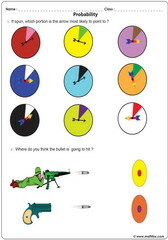 Topics include: introduction to probability, spin the wheel and guess the odds, picking balls at random and tell the odds, fire targets and tell odds, least or more likelihoods, probability applied to daily life. 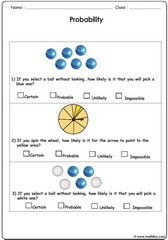 Probability activities for children in the following grades : Pre-k, kindergarten, 1st grade, 2nd grade, 3rd grade, 4th grade, 5th grade, 6th grade and 7th grade.